MystereBooks is pleased to feature the first three books in the "Bess Crawford" series of historical mysteries by Charles Todd, now available at a special price, courtesy of the publisher, HarperCollins. The ebook format of these titles was priced at $2.99 each from the listed vendors (below) as of the date and time of this post. Prices are subject to change without notice. The price displayed on the vendor website at the time of purchase will be the price paid for the book. Please confirm the price of the book before completing your transaction. Here is today's list of the Bestselling Free Kindle Crime Fiction: the top nine mysteries, novels of suspense, and thrillers. We're using a script to embed an RSS feed from Amazon.com, which is updated hourly; as an alternative, you can click on the image to the right or use this link to see the relevant page on Amazon.com, which includes a list of both the Top 100 Paid and Top 100 Free Kindle Mysteries and Thrillers. MystereBooks is pleased to feature The Devil's Necktie by John Lansing, now available at a special price, courtesy of the publisher, Gallery Books. The ebook format of this title was priced at $0.99 from the listed vendors (below) as of the date and time of this post. Prices are subject to change without notice. The price displayed on the vendor website at the time of purchase will be the price paid for the book. Please confirm the price of the book before completing your transaction. Carina Press is a digital-first imprint from Harlequin, publishing books in an interesting and diverse selection of genres including contemporary romance, steampunk, gay/lesbian fiction, science-fiction, fantasy, and — but of course — mystery and suspense. MystereBooks is pleased to feature Two Bits Four Bits by Mark Cotton as today's fourth free mystery ebook (A Buddy Griffin Mystery; Kobo and iTunes formats). This title was listed as free as of the date and time of this post. Prices are subject to change without notice. The price displayed on the vendor website at the time of purchase will be the price paid for the book. Please confirm the price of the book before completing your transaction. MystereBooks is pleased to feature Confidential by Jack Parker as today's third free mystery ebook (Confidential; Kindle format only). MystereBooks is pleased to feature The Fixer by T. E. Woods as today's second free mystery ebook (A Mort Grant Thriller; Kindle format only). MystereBooks is pleased to feature The Aspen Account by Bryan Devore as today's free mystery ebook (A Financial Thriller; Kindle format only). MystereBooks is pleased to feature The Eyre Affair by Jasper Fforde as today's Amazon Kindle Daily Deal. The deal price of $2.99 is valid only for today, Monday, December 31, 2012. Daniel Fesperman's first Vlado Petric mystery suggests that one "lie" here (9 letters). There is a generic movie-of-the-week quality to this adaptation of Scott Turow's novel, just adequate enough to tell the story but nothing particularly special otherwise. In a way, that's probably good, since not much gets in the way of the plot, which is the best element of this movie. 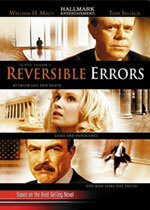 Read the full text of our review at Mr. E. Reviews Reversible Errors. Looper starring Joseph Gordon-Levitt, Bruce Willis, and Emily Blunt. See also a list of current mystery and suspense DVD, Blu-ray, or VOD deals on Amazon.com. Telemystery, your source for one of the most comprehensive listings of crime drama, amateur sleuth, private investigator, mystery and suspense television series, mini-series and made-for-television movies, now available on or coming soon to DVD or Blu-ray disc, is profiling one series from our site being released this week. The deal price of $0.99 to $1.99 each is valid only for today, Sunday, December 30, 2012. Fourteen of Ian Fleming's 007 spy thrillers are included in this deal; we're highlighting the first in the series, below. Every month Amazon publishes a list of 100 Kindle books priced $3.99 or less. We thought we'd take that idea and improve on it, publishing a list of 100 Kindle mystery books priced $2.99 or less and updating it every week! Here is our general criteria for selecting titles to include: books from major or specialty publishers of crime fiction and those written by authors familiar to us. There are far more than 100 to choose from, so we use our best judgment to narrow it down. And just a reminder … as we add new titles, older ones are removed from the list. These books aren't likely to be repeated, so we encourage you to check in frequently! MystereBooks is pleased to feature Harm's Way by Alan Annand as today's third free mystery ebook (A Lee Harms PI Mystery; Kindle, Kobo, and iTunes formats). MystereBooks is pleased to feature The Cole Hard Truth by Eric Dwyer as today's second free mystery ebook (A Whodunit-Style Murder Mystery; Kindle format only). MystereBooks is pleased to feature Executive Privilege by Phillip Margolin as today's free mystery ebook (A Dana Cutler Political Thriller; Kindle and Kobo formats). MystereBooks is pleased to feature over 200 books — including a selection of mysteries and thrillers — as today's Amazon Kindle Daily Deal. The deal price of $1.99 each is valid only for today, Saturday, December 29, 2012. MystereBooks is pleased to feature the seven mysteries in the "Connor Westphal" series by Penny Warner, now available at a special price, courtesy of the author. The ebook format of the first book in the series was priced at $0.00 as of the date and time of this post. The other six books in the series were priced at $0.99 as of the date and time of this post. (This appears to be Kindle book promotion only.) Prices are subject to change without notice. The price displayed on the vendor website at the time of purchase will be the price paid for the book. Please confirm the price of the book before completing your transaction. 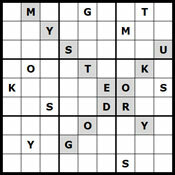 First Clues: Mysteries for Kids is pleased to announce a selection of new mystery, suspense and thriller books (including series books) scheduled for publication during January 2013, listed in approximate order of reading level, from books for younger readers to books for teens and young adults. MystereBooks is pleased to feature The Assassins' Village by Faith Mortimer as today's second free mystery ebook (A Diana Rivers Mystery; Kindle format only). MystereBooks is pleased to feature Saddled with Trouble by Michele Scott as today's free mystery ebook (A Michaela Bancroft Mystery; Kindle format only). MystereBooks is pleased to feature Odd Thomas by Dean Koontz as today's Amazon Kindle Fantasy Daily Deal. The deal price of $1.99 is valid only for today, Friday, December 28, 2012. MystereBooks is pleased to feature Under the Dome by Stephen King as today's Amazon Kindle Daily Deal. A list of the top 15 Mystery Hardcover Bestsellers for the week ending December 28th, 2012 has been posted by the Hidden Staircase Mystery Books. Another quiet week for the list, with no new titles debuting. Gone Girl by Gilliam Flynn retains the top spot by a comfortable margin. With this being our last update of the year, all of us here hope that you and yours have a very Happy New Year! And thanks for visiting this site as well as the other members of the Omnimystery Family of Mystery Websites. Extra Credit by Maggie Barbieri. An Alison Bergeron, Murder 101 Mystery. We are delighted to welcome debut novelist Harrison Demchick as our guest. Harrison's new book, The Listeners (Bancroft Press, December 2012 hardcover and ebook formats), was born in an independent study in fiction during Harrison's senior semester at Oberlin College. Originally a series of interconnected short stories, it was adapted first into a screenplay, and then, from the screenplay, into his first novel. Today Harrison tells us about how much to reveal in a book … and when. MystereBooks is pleased to feature Catch Me If You Can by Nina Bruhns as today's third free mystery ebook (The New Orleans Trilogy of Romantic Suspense; Kindle format only). MystereBooks is pleased to feature Haunted on Bourbon Street by Deanna Chase as today's second free mystery ebook (A Paranormal Novel of Romantic Suspense; Kindle, Kobo, and iTunes formats). MystereBooks is pleased to feature Sea to Sky by R. E. Donald as today's free mystery ebook (A Hunter Rayne, Highway Mystery; Kindle format only). Hand for a Hand by Frank Muir. An Andy Gilchrist Mystery. We are delighted to welcome back crime novelist Lauren Carr as our guest. Lauren's most recent book is the first in a new series, Dead on Ice: A Lovers in Crime Mystery (Acorn Book Services, September 2012 trade paperback and ebook formats). She also has the fourth mystery in her "Mac Faraday" series coming out next month … and she's provided us a sneak peek at the cover (below). 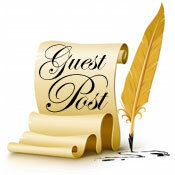 Today Lauren writes about a topic of interest to many readers: How bloody is your mystery? And how much violence is too much? MystereBooks is pleased to feature Storm Surge by Tamara Ward as today's fourth free mystery ebook (A Jonie Waters Mystery; Kindle format only). MystereBooks is pleased to feature Jackrabbit Junction Jitters by Ann Charles as today's third free mystery ebook (A Jackrabbit Junction Mystery; Kindle format only). MystereBooks is pleased to feature Deadly Illusions by Chester D. Campbell as today's second free mystery ebook (A Greg McKenzie Mystery; Kindle format only). MystereBooks is pleased to feature Out of Time by Katy Munger as today's free mystery ebook (A Casey Jones Mystery; Kindle format only). MystereBooks is pleased to feature Black List by Brad Thor as today's Barnes & Noble Nook Daily Find. The deal price of $2.99 is valid only for today, Wednesday, December 26, 2012. Note: The price has been matched by Amazon.com for today only. MystereBooks is pleased to feature Cold Fear by Rick Mofina as today's fifth free mystery ebook (A Suspense Thriller; Kindle format only). MystereBooks is pleased to feature Wait For Me by Elisabeth Naughton as today's fourth free mystery ebook (A Novel of Romantic Suspense; Kindle, Kobo, and iTunes formats). MystereBooks is pleased to feature The Unburied Dead by Douglas Lindsay as today's third free mystery ebook (A Thomas Hutton Mystery; Kindle format only). MystereBooks is pleased to feature White Jade by Alex Lukeman as today's second free mystery ebook (A Nick Carter/Selena Connor Thriller; Kindle format only).